Friddle and Company is a full-service custom home builder. With a profound respect for our clients and the elements of custom design, Friddle and Company is committed to capturing your imagination with innovative design and construction techniques. Whether you have specific ideas of your own, or you are looking to expand on preliminary ideas, we are committed to providing an exceptional building experience. Michael Friddle is a licensed residential (unlimited) and commercial contractor. He is also a Certified Licensed Home Inspector, a Certified Green Professional (CGP), an Energy Star Partner, and a Certified Aging in Place Specialist (CAPS). These certifications and his 10 years of experience in the commercial field have greatly contributed to his passion for building custom homes. He can be found at the job site every day overseeing every step of the building process with his hands-on approach. 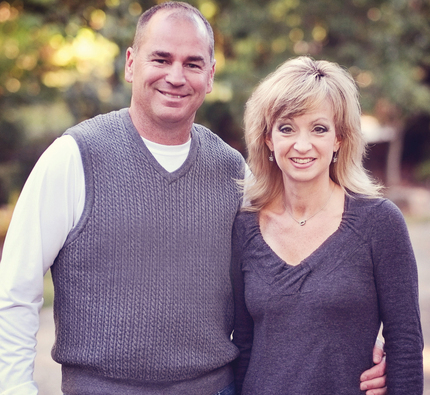 Michael and Paige Friddle work as a team to deliver a fun, stress-free process. It is through this process that you get a seamless start-to-finish experience that is thorough, rewarding, and complete for everyone. Some clients enjoy the challenge of building a home; some are afraid of the process; some just want to let us run with it and show them the results. Whatever the situation, respecting the style and personality of our clients comes first. It is not often that you find a builder who can build a house that is elegant, yet comfortable to live in...but Friddle and Company is that builder. From the exterior to the interior, from the layout to the smallest finishing detail, a Friddle and Company home makes you feel like a princess every day.